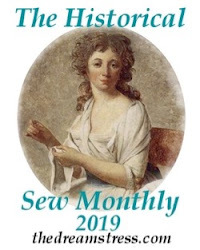 I've mentioned it a couple of times, so I thought it might be a good idea to talk more about Historical Sew Fortnightly, or HSF as I will probably use most of the time. The HSF was created last year by Leimomi Oakes of The Dreamstress. She posts challenges that you are suppposed to compete and show to others, either in a blog post or at the Facebook group. Every fortnight there is a new challenge, hence the name. 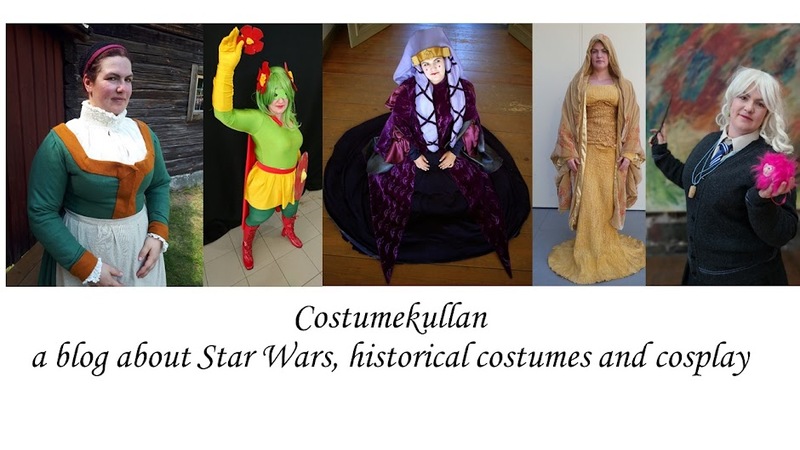 The challenges have a theme, but are quite wide open, as long as they are withing the fold of "historical costuming" for HSF13 this was any era up until around 1920, for HSF14 it's been extended to up until WWII. I was added to the FB group in the beginning of the year, but didn't really notice it. If I someone else adds me to a group I tend to ignore it, I also felt that I wouldn't be able to participate. Then when I was working on my Snow White costume I found The Dreamstress blog and read it all, and then I understood more about what HSF was all about. I started reading the FB group more regularly. I only posted a petticoat and my Snow White gown as finished challenges though. For HSF14 I'm hoping to do a lot more. Here are the first 7 challenges, the rest are waiting to be announced. 1. Make do and Mend (15th of January) - I'm hoping to add some trims for my 18th century gowns for this.